In a Nutshell: One of the most misunderstood figures in the history of ideas is Charles Darwin. But Darwin Online is bringing increased transparency to Darwin by providing open access to a huge body of scholarship surrounding this famous English scientist. All of Darwin’s published works are free to read, as is the largest collection of his personal papers and manuscripts. The site also houses a huge library of supplementary material pertaining to Darwin and his theory of evolution. We always look for educational resources to bring to our readers since education is so vital to future earnings potential, and Darwin Online is a world-class example. But Darwin Online isn’t just a classroom tool; it’s an outstanding way for everyone to become better acquainted with a scientific thinker whose ideas have helped shape the modern world. What website has inspired poetry, Christmas tree ornaments, tattoos, and caused the University of Cambridge’s servers to crash upon its launch in 2006? The somewhat surprising answer is Darwin Online, the world’s leading resource on all things Charles Darwin. Because there is such interest, van Wyhe created Darwin Online to serve as a comprehensive record of the scientist’s life, work, and influence. The archive curates every known document written by Darwin, plus a library of scholarship about the man and his work. The site hosts over 212,000 pages of digital text and more than 220,000 images, all of the highest scholarly quality, fully searchable, and expertly edited and annotated (including 4,900 original notes). It is, quite simply, the web’s — and the world’s — ultimate resource on Darwin. Because education is such a consistent determinant of future financial well-being, we often like to recognize especially helpful resources in this realm, and Darwin Online is certainly that. An exceptional classroom resource, Darwin Online is an outstanding way for students to better understand the importance of Darwin’s work. And, of course, it’s just as valuable for anyone who simply wants to learn more about one man who changed how humans view the world in which they live. Darwin’s research and ideas made him a major historical figure, even in his own lifetime. Van Wyhe himself encountered this problem early in his career. After finishing his PhD at Cambridge, he received a fellowship in Singapore. There, he was unable to pursue his research on Darwin due to inadequate library holdings and even fewer adequate online resources. To remedy this problem, van Wyhe began assembling Darwin materials, and, in 2002, created a website called The Writings of Charles Darwin on the Web. 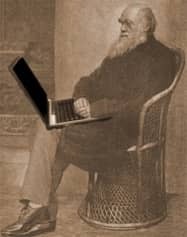 He subsequently received a research grant from the University of Cambridge, and, in 2006, the site became Darwin Online thanks to the effort and support of scholars and librarians from around the world. “I think this project is now the largest scholarly website on a single human being,” van Wyhe said. Darwin Online’s collection contains every known document written by Darwin. “We have not only all of his publications, his books, and his articles complete, but also his private papers, his notebooks, his notes, his reading notes, and the articles and things that he snipped out of journals to keep for his theorizing,” van Wyhe said. Many of these personal writings are exclusively available through Darwin Online. Altogether, the site hosts the largest collection of Darwin’s notes, papers, and manuscripts ever gathered. These supplementary materials include writings by his contemporaries, book reviews and responses, records of specimens collected by Darwin, works written about Darwin and his ideas, and obituaries published to mark his passing in 1882. The sheer abundance of information may seem overwhelming, but Darwin Online’s search function makes it easy to find exactly what you’re looking for. More importantly, it allows you to answer — once and for all — that burning question: Was Darwin actually responsible for that quote you read on Facebook? If you’re new to Darwin, van Wyhe suggests starting with the famed naturalist’s biography page. Darwin Online also offers an introduction that helps readers understand the archive and its purpose, while the user guide explains site functionality, contents, and navigation. Together, these aids help readers embark upon and navigate their own journey through Darwin’s life and ideas. From the outset, Darwin Online challenged academic exclusivity — the notion held by some that only scholars have earned the privilege of accessing rare notes, manuscripts, and materials. Thanks to van Wyhe’s efforts to make this information public, the world has gained a better perspective of Darwin, his work, and its cultural context. He points to Wikipedia as just one example. “Back in 2002, if you looked up Darwin and Darwin-related topics, it was really thin. The whole entry was basically just a paraphrase of a popular book,” he said. 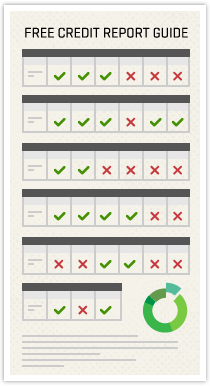 Today, the entries are vastly improved and expanded thanks to the resources now available. Open access has significantly changed how we view the controversy surrounding Darwin’s theory of evolution. 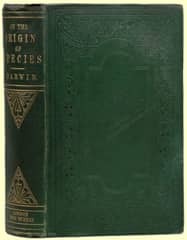 “On the Origin of Species” by Charles Darwin. Perhaps because the theory was initially so shocking, Darwin is often depicted as having been reluctant to discuss his findings. This was the origin of van Wyhe’s own research interest. On this topic, van Wyhe ultimately found his answer, but it wasn’t the one he expected. Darwin Online’s creator isn’t the only person to whom the archive has brought enlightenment and fulfillment. One user emailed van Wyhe regarding the experience of seeing the first edition of “On the Origin of Species” for the first time on the site. And, of course, many readers have found ways to use the archive’s resources to creative effect. The poetry, ornaments, and tattoos mentioned above are all examples of art and handicrafts inspired by Darwin Online and created using the documents and images it supplies. “The range of things that people do with it is mind-blowing,” van Wyhe said. While Darwin Online is the world’s premier resource on Darwin, it’s far from finished, with new material uncovered and added regularly. 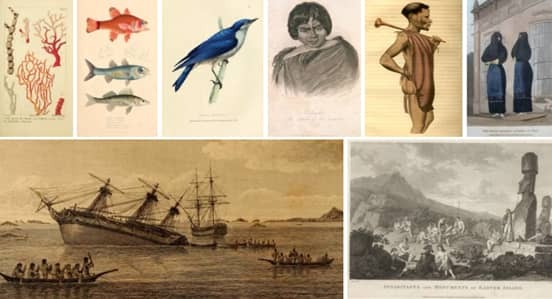 One such addition is a reconstruction of Darwin’s library aboard the HMS Beagle, which you may know as the famous vessel from his other masterwork, “The Voyage of the Beagle.” The collection contains about 400 books that Darwin read and consulted during his five-year voyage traveling around the world. A collage of illustrations found in Darwin’s library aboard the Beagle. Humanity’s view of Darwin is a mirror of the scientist’s perception of life: It is constantly evolving. Just as Darwin changed humankind’s understanding of the world, Darwin Online is changing our interpretation of Darwin and his ideas. Thanks to this monumental project, we can enjoy an ever-sharpening image of the man, his works, and their continuing impact on our lives.